With the fall (winter) and sweater weather just around the corner, we’ve created a cute flannel pattern Baby’s 1st Birthday Party Theme that we think you’ll adore. 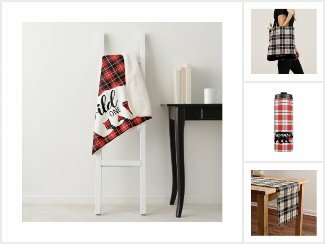 We’ve created a rugged, rustic country red, black and white flannel plaid pattern and a slightly more elegant tartan gingham Thompson Camel pattern. 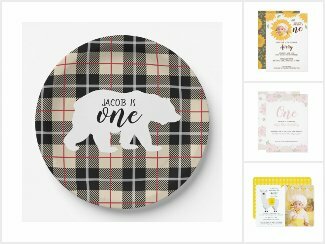 Other than our cute 1st Birthday photo invitations (featured below), we’ve also provided matching accessories such as paper plates, paper napkins, stickers, and so much more.